It's no secret I am a fan of including the sparkly bling in your terrarium. 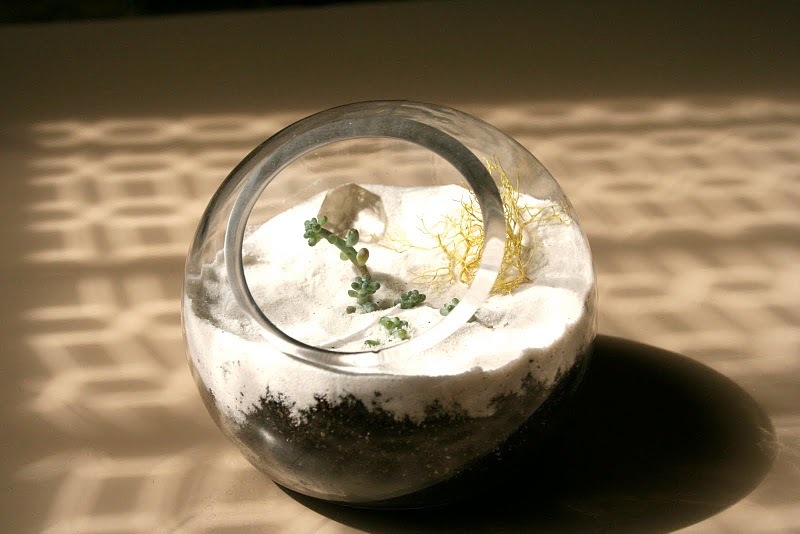 I fell hard and fast for these elegant white sand terrariums with the honking diamond features. By Sarah at CursiveDesign.